Twin brothers whose Christian beliefs on marriage and the sanctity of life got their real estate show canceled by a cable network before it ever aired say they’re open to other TV offers if “the free market” will allow it. 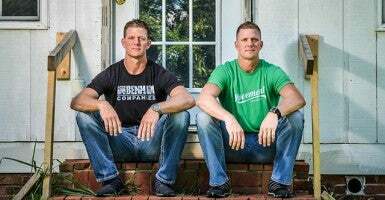 Pressure generated by a left-wing website led to HGTV’s dropping “Flip It Forward,” the show that was to feature David and Jason Benham. The unstated reason: One or both twins expressed what they consider Bible-based views in support of marriage as a man-woman union and in opposition to abortion on demand. Now, though, one or more other networks could make a play for the Benham brothers, according to The Hollywood Reporter. 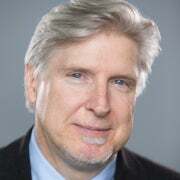 A dispatch by Paul Bond identifies INSP—a “traditional values” television outlet that reaches 75 million households—as one suitor. “David and I are solid individuals with strong beliefs, but if these networks are willing to put us on the air, we’d be willing to talk,” Jason Benham told Bond. The website Right Wing Watch, a project of the liberal group People for the American Way, had labeled the brothers as “anti-gay” and “anti-choice” because of past comments and political advocacy in support of traditional marriage and pro-life causes. Louisiana Gov. Bobby Jindal defended the Benhams in a commencement address Saturday at Liberty University, the brothers’ alma mater, with them in attendance. Jindal appeared to side with cultural commentators who liken the dropping of the brothers’ show to A&E network’s suspension of “Duck Dynasty” patriarch Phil Robertson for remarks on sexuality in a media interview and the ouster of Mozilla chief Brendon Eich as “anti-gay” because of his private financial support for traditional marriage in California. “For some who favor the redefinition of marriage, tolerance appears to have been a useful rhetorical device along the way to eliminating dissent,” The Heritage Foundation’s Ryan T. Anderson wrote about the resignation of the Mozilla CEO.